The other option is to have 10’ of alleyway and the Titan West Combo Chute in front of the alley. 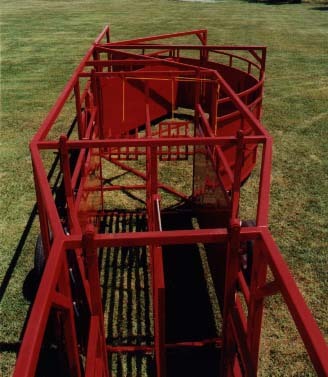 This option includes the Palpation Cage directly behind the Working Chute. The Working Chute has all of the features of Titan West’s Combo Working Chute, complete with rumber floor and Chest Rest.